If you are an existing user upgrading from the old v1 software, you can import and convert your historic data to the new application. Your historic software installation and data will not be deleted. Windows 10 users do not require a device driver, but earlier versions of Windows do require a USB driver. 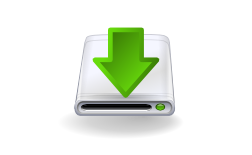 Two drivers are available, for either 32-bit and 64-bit PC’s (go to your Computer’s properties to determine which you have or if you are unsure, simply download and install both). *NOTE: During installation, the UAC (User Account Control) settings and Anti Virus programs could potentially block the USB drivers or software from installing if the settings are too high. © Mbeleni Data Solutions. All Rights Reserved.